Autumn is the season that falls between summer and winter. There are many changes that begin in this fascinating season. Days become shorter. 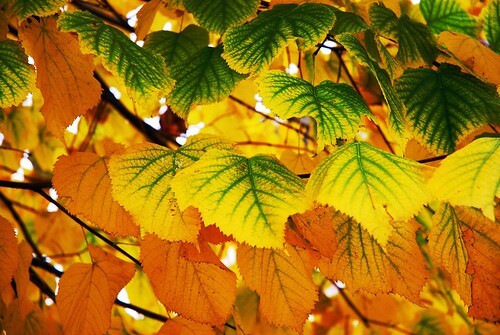 Leaves of trees turn from green to vibrant red, yellow and orange. Trees need sunlight to keep their leaves a lively green. Without sunlight leaves turn colors. The grass is no longer blanketed with dew but with frost, almost every morning, as temperatures reach the freezing point. Animals start storing up a food supply to last through the long winter months. These changes occur as we adjust from the heat of the summer to the chill of the winter.